Powered by 3D NAND Flash, which delivered a better performance and reliability, Pioneer SL2-240 solid state drive upgraded your computers with ultra-high speed and efficient power saving. Pioneer's internal SSD will definitely provide you with the best user experience. It supports a variety of PC/laptop upgrades with a ultra-fast Read speed (520 MB/s) and Write speed (440 MB/s), which is 4 times higher than the traditional HDD. 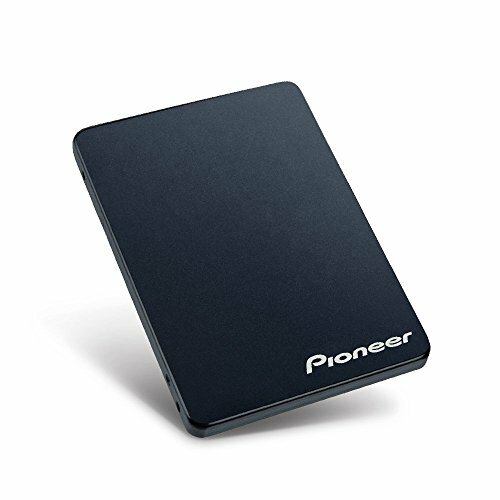 Pioneer's internal SSD supports multiple advanced techniques such as garbage collection, S.M.A.R.T self-monitoring, and LPDC error correction techniques, ensuring data secure and stability. The Pioneer SL2-240 has a 3 year or 120TBW (Terabytes Written) lifetime warranty, which equates to a 60 GB daily read/write workload. Not only regular users but also gamers can benefit from the high-end endurance and performance. High-quality TLC flash , combined with industry-leading Marvell controller. Deliver high transfer speed and greater performance with 3D NAND flash. The shock-proof, durable, and extremely reliable SSD represents the absolute bargain in the field. Contents: 2.5" SATA III SSD (6Gb/s) & User Manual (No Cables, Screws, and Brackets).